Rachel Kelly is a writer and mental health campaigner. She speaks publicly about her experience of depression and recovery to help educate and break stigma. She is an official ambassador for Rethink Mental Illness, Young Minds, SANE and The Counselling Foundation. Following Rachel’s memoir on recovering from two severe periods of depression ‘Black Rainbow: How words can heal – my journey through depression’, people often asked her what she had learnt about how to stay well. Her book, ‘Walking on Sunshine: 52 Small Steps to Happiness’, answers that question. It is a season-by-season guide containing fifty-two small, sanity-saving tools, many of them based on the principles of mindfulness. Rachel’s latest book ‘The Happy Kitchen: Good Mood Food’ provides nutritional information and recipes based on over 140 nutritional studies to help keep calm and well. Fortunately for us, his friend opted for publication, and Herbert’s poems have been a source of comfort and enjoyment ever since. 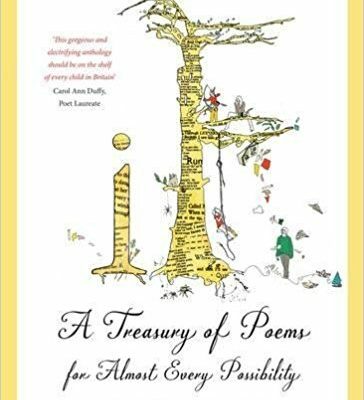 Herbert’s idea that poetry should be of use is central to my own love of poetry and informs my working life: after many years as a journalist, including a decade at The Times, I was inspired to run poetry workshops and have done so for mental health charities including Depression Alliance, Mind, and Cooltan Arts as well as for bookshops such as The Idler Academy in West London and Alain de Botton’s The School of Life. The line ‘Guilty of dust and sin’ describes exactly how I felt when I was depressed: worthless, hopeless – guilty. What a perfect capturing! Herbert also offers a compassionate voice: that of Love, who ‘bids us welcome’. He knew how to perfectly balance the darkness of his descriptions with consolation. A powerful poetic line can diminish ones sense of being alone. This was particularly striking to me when I came across poems written hundreds of years ago which describe a similar blackness to that which I was experiencing. Poetry also brings ones mind into the present moment and back into ‘the flow’ of life. Mental illnesses such as depression tend to cripple ones sense of time: involvement in the present is overwhelmed by worries about the future or regrets about the past. But the complexity and subtlety of poetry requires you to concentrate on the here and now. In my book, Walking on Sunshine: 52 Small Steps to Happiness, I record a diary of my year and the week-by-week strategies that have helped to keep me calm and happy and manage my depression: from the philosophies I try to practice, to spring cleaning, to new ways of communicating, breathing exercises and more. These strategies have all proved invaluable to me, but one of my favourite things about the book are the poems I have included at the beginning of each season. I continue to thread poetry throughout my books and in my life. For more information go to www.rachel-kelly.net and follow Rachel on Twitter @RachelKellyNet, Instagram @rachelfKelly and Facebook.